Are you ready to Submit Life Science Study Materials, and Articles? GoLifeScience.com is a blog for reading quality content related to Biochemistry, Biotechnology, Microbiology, Immunology, Molecular Biology, Ecology, Biodiversity and Biophysical Chemistry. I take care of all the content here, and at the same time, I also let Biology Guest Bloggers show their talent and write a guest post on the blog. The purpose is to help other biology bloggers to reach out to a new audience base and share more quality content from industry experts. You can submit biology-related articles, which is useful for CSIR NET Life Sciences aspirants. Here are few of the categories that I accept articles from, and also suggestions for few articles. Do remember at this blog, to avoid submitting already published ideas. Better to choose articles from Csir Net Life Sciences syllabus. Credit: GoLifeSciences.com respect individual work and if your idea is derivative of someone else work, feel free to give credit. Same goes for images which you use for your post. To ensure your article get published, write a very original piece, which is written specifically for CsirNetLifeSciences.com audience. Article Quality: Article should be a minimum of 300 to 700 words and should cover the topic in detail. Incomplete details are like half-cooked food and no one would love such articles. I take quality as one of the major conditions in accepting guest posts. Screenshot + Video: Images speaks a thousand words. Add images to convey your message; don’t add it just for the sake of it. If writing tutorials, take your own screenshot. If writing conversational topics, use Flickr to find lively and related images. If you are a video blogger, you can submit your video to Life Sciences Resources Youtube channel. Just create a video, and drop me an Email, and I will tell you how to submit videos. Copyright: We respect everyone work. In case we found out that you have copied post from somewhere. This will lead to instant ban and removal of all your blog posts, and profile from Go LifeSciences. Also by submitting the post to Go LifeSciences, you give us the copyright owner of the post. This helps us to deal with any kind of DMCA related issues. If you have read and understood all the above-mentioned guidelines, you can submit the article directly. I have made the process of submitting your guest post very simple, and if you have worked with WordPress, you can simply head over to the registration page, and create an account to submit your guest article. If you are not familiar with WordPress, you can Email us the article in MS Word format at [email protected]. Attach images separately. 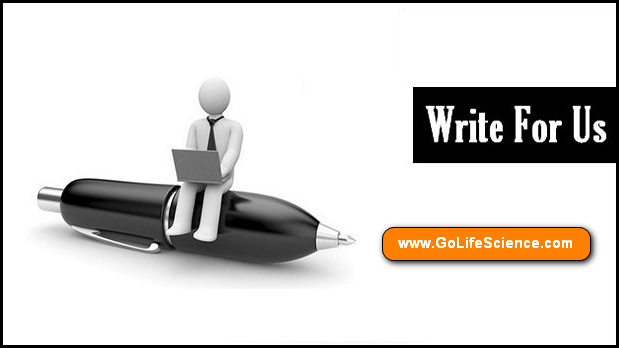 In case if you have any query regarding guest posting at CsirNetLifeSciences.com, do let us know via contact form. Hi!! I’m a CSIR-NET aspirant from Haryana. As I’m going through the syllabus, I would like to make blogposts about it and post here. So can you please allow me to do so? Register and submit your articles for review. Hi, I am preparing for CSIR JRF net and i want to know that how can i prepare part A and Part C? Which kind of Questions generally asked in these parts ? Can you help me through posting video lecture about these questions ? It is requested to you that please consider my questions and guide me. CSIR UGC NET is the national examination. Part A and Part C have additional modules. This part needs analysis skills. If you are fresher, refer NCERT (+1 and +2) books for Part A section. For Part C section need to read higher references. Read and follow every topic in Unit 1,2,3,4,8. These units cover 60% question in Part B and C. Do MCQ exams on every topic. All the best.